The human body is a complex system comprised of many parts that all work together in unity – at least, that is what should happen. Unfortunately, the food you eat, the air you breathe, and even the products you use on a daily basis can have a negative impact on certain parts of the body which can then affect the whole. This is particularly true for the digestive system. The digestive system is comprised of the gastrointestinal tract (i.e. GI tract), the liver, the pancreas, and the gallbladder. The GI tract itself is made up of a series of hollow organs, including the mouth, esophagus, stomach, and intestines. Each of these organs serves a unique purpose, but they all work in unison to break down the food you eat into nutrients and energy that can be used by the whole body. Besides the organs that make up the digestive system, there is another component that must be kept in good health for the benefit of the entire body – the microbiome. The microbiome is a complex ecosystem of bacteria, most of which live in the digestive tract. According to a review published in Nutrition Reviews, the human microbiome consists of between 10 and 100 trillion symbiotic microbial cells which, in addition to supporting healthy digestion, play a role in determining an individual’s genetic footprint. What Role Does the Microbiome Play in Total Body Health? 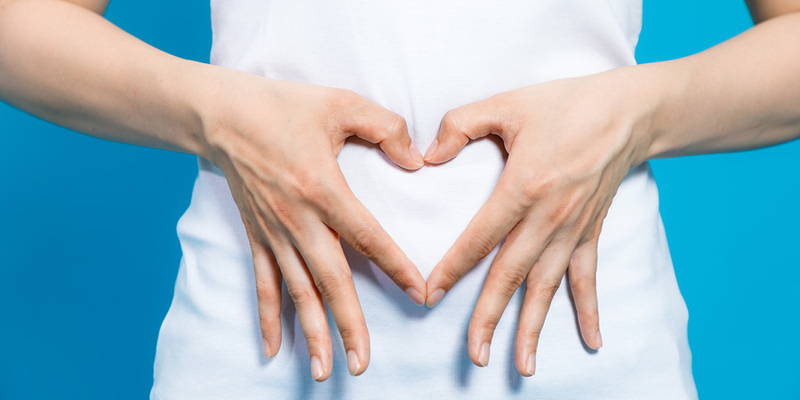 Digestive health is often treated separately from other aspects of health when, in reality, researchers estimate that up to 90% of all disease is to some degree linked to the digestive system and, more specifically, the microbiome. A healthy microbiome supports immunity and helps control inflammation – inflammation that can contribute to a wide range of chronic diseases including asthma, hypertension, heart disease, Alzheimer’s, and cancer. It should be obvious, then, that supporting the health of the microbiome is an important step in improving the health of the entire body. Following a healthy and balanced diet is the key to digestive health, though there are certain supplements that can benefit the microbiome, in particular, called probiotics. Probiotics are living organisms that are beneficial for health, especially the health of the digestive system. Though the term probiotics refers specifically to beneficial bacteria, it can also refer to supplements that contain those beneficial bacteria. Taking probiotics can support healthy and regular digestion and may help repair dysbiosis, a microbial imbalance which can affect total body health and wellness. Before taking probiotics, it is important to learn the basics about what they are, how they work, and what side effects they may cause. Below are answers to some of the most common questions about probiotics. Probiotics contain beneficial bacteria that can help restore balance in the microbiome and relieve gastrointestinal symptoms not related to acute illness. Taking probiotics may alleviate symptoms such as gas, diarrhea, bloating, and constipation, and may improve digestive regularity. The primary purpose of probiotic supplements is to increase the number of beneficial bacteria in the digestive tract. How quickly these supplements work is generally measured in terms of how long it takes for certain bacterial species to double in number, known as the generation time. Probiotic supplements may contain any number of different bacterial strains, but the two used most often are Lactobacillus and Bifidobacterium. These strains are popular because they have short generation times, doubling in number within three hours of taking the supplement. Live probiotics, like those found in certain types of yogurt, offer long-term benefits for regulated digestion whereas lyophilized probiotics offer fast relief from digestive symptoms, such as diarrhea caused by antibiotic use. Generally speaking, probiotics can take anywhere from a few hours to a few weeks to reach maximum efficacy – it all depends on the type and form you take. Another subtle sign that probiotics are working may include a more stable or positive mood. Approximately 90% of the body’s serotonin is produced by microbes in the gut, so a healthy microbiome can lead to a healthy mind. How long should you take probiotics? There is no cut-and-dry answer to the question of how long probiotics should be taken because each person’s microbiome is unique and different probiotics can be used for a variety of ailments. When taking probiotics to relieve digestive symptoms, take them for as long as necessary to relieve those symptoms. If you are taking probiotics for general gut health, however, you may need to take them daily for as long as you want to experience benefits. Numerous studies have shown that probiotics do not become permanently established in the microbiome. In other words, when you stop taking them, their numbers dwindle over the course of the next few weeks. Probiotics are generally regarded as safe for daily use if you do not experience side effects and if your doctor approves of their use. Recommendations vary from one product to another regarding when to take probiotics. While there may not be a specific time of day that is best to take probiotics, you are likely to experience the greatest benefit if you take them no more than 30 minutes before a meal. Taking probiotics with food helps to limit breakdown by stomach acid, ensuring that the beneficial bacteria reach your intestines intact. The need for refrigeration will vary from one product to another. It is important to read the label. Live probiotics in food products like kombucha may require refrigeration, while many probiotic supplements will not. If ordering a probiotic supplement online that requires refrigeration, it is important that it ships on ice. There are two ways probiotics can make their way into food – they can be added, or they can be created. Foods that contain added probiotics include yogurt with live cultures and other miscellaneous dairy products. Probiotics can be created in food through fermentation – the process through which microorganisms convert carbohydrates into alcohol or organic acids in the absence of oxygen. 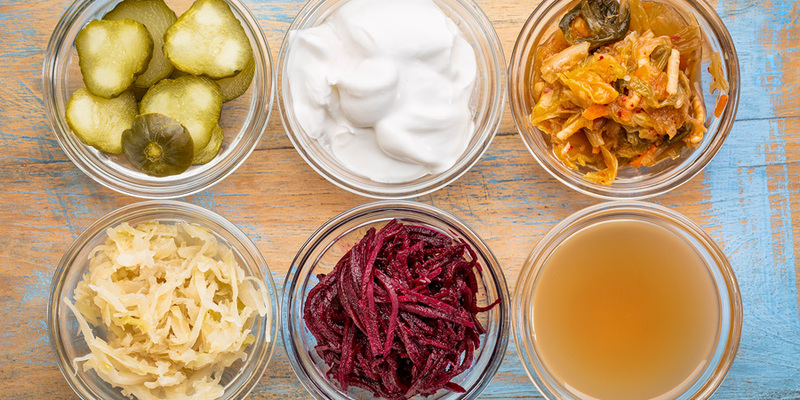 Fermented foods include things like kimchi, kefir, kombucha, miso, sauerkraut, pickles, and tempeh. Before taking probiotic supplements, you should speak to your doctor. Probiotics are generally regarded as safe and can be used to bolster the immune system, but it is important to purchase a high-quality product with sufficient numbers of bacteria to ensure efficacy. Although most people do not experience side effects while taking probiotics, they are possible. In many cases, diarrhea can be attributed to digestive problems triggered by bad bacteria, yeast, or viruses in the gut. For this reason, taking probiotics may help alleviate diarrhea by restoring microbial balance in the digestive tract. In cases where probiotics are not being used to treat diarrhea, however, some patients experience mild diarrhea during the first two to three days of supplementation, but it generally subsides rather quickly. Actually, probiotics can be used to alleviate occasional constipation, especially when paired with soluble fiber. Constipation is generally not a side effect of taking probiotic supplements. Sometimes. According to a review published in the American Journal of Health-System Pharmacy, probiotics are generally well tolerated with side effects being uncommon and typically mild. Of those potential side effects, a temporary increase in gas or flatulence is most common. Nausea is not typically a side effect of probiotics, though it is possible to develop an allergic reaction to one of the inactive ingredients in the supplement, which could potentially make you feel sick. Though it is generally mild, bloating is one of the more common side effects of probiotics. This side effect is usually temporary and most likely to affect people who are very young or very old, as well as those who have a weakened immune system. Taking probiotics has been shown to reduce inflammation and support detoxification, both of which can contribute to improved skin health. It is possible, however, for probiotics to temporarily trigger skin problems, such as breakouts. As beneficial bacteria from the probiotics enter your gut, the bad bacteria are killed off or forced out. Those bad bacteria rise to the surface of the skin, which may result in a temporary breakout. It should resolve once the balance in your microbiome is restored. Can probiotics cause weight gain? No. Weight gain is not a side effect that has been linked to probiotic use. A diversified gut microbioime is actually associated with a healthy BMI. No. Probiotics help restore balance in the microbiome which may lead to improved digestion. In this way, probiotics are a beneficial treatment for heartburn rather than a causative factor. Probiotics may not directly cause weight loss, but they trigger certain changes within the body that can support fat burn and weight loss. Studies have shown that certain strains of bacteria – namely strains in the Lactobacillus family – may support weight loss by inhibiting the absorption of dietary fats, increasing the release of the satiety hormone GLP-1, and improving gut health and fat excretion through feces. According to one study published in the Journal of Functional Foods, participants who consumed yogurt fortified with Lactobacillus fermentum or Lactobacillus amylovorus experienced a 3-4% reduction in body fat over a 6-week period. In a study published in the British Journal of Nutrition, overweight women who took probiotics over a 3-month period lost 50% more weight than the control group. Can you take probiotics with antibiotics? Antibiotics are generally used as a treatment for bacterial infections, but they can simultaneously kill off beneficial bacteria in the gut, leading to other health problems. 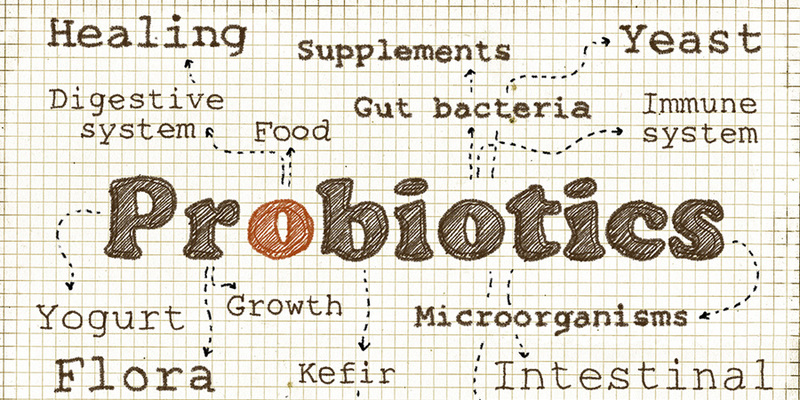 Taking probiotics in conjunction with antibiotics can minimize the damage to your microbiome. The results of a 2008 study published in the Journal of Clinical Gastroenterology suggest that taking probiotics while on antibiotics may also reduce side effects like diarrhea. Can you take probiotics while pregnant? According to the American Pregnancy Association, probiotics are probably safe during pregnancy, but limited research on the subject means that they cannot be declared completely safe. There have been no clinical associations made between probiotic use and miscarriage or birth defects, but the evidence is not conclusive. On the other side of the issue, diarrhea and constipation are two of the most common digestive complaints during pregnancy, and the use of probiotics for these problems is common. Probiotics are living microorganisms – they are the beneficial bacteria that reside primarily in the gut. Prebiotics, on the other hand, are non-living organisms. They are the soluble, fermentable fibers found in certain foods, which the body cannot fully digest. Because these fibers cannot be broken down completely by stomach acid, they move into the intestines where they become food for probiotic bacteria. Prebiotic fibers can be found in foods such as Jerusalem artichokes, onions, jicama, garlic, beans, and chicory root. Foods that contain resistant starch – such as legumes, oats, and unripe bananas – may also offer prebiotic benefits. Whether you are suffering from leaky gut syndrome or occasional irregularity, taking probiotics can improve the health of your microbiome and repair digestion. Before taking probiotics, talk to your doctor just to be safe and make sure you take the time to find a high-quality product.